The study, by University of Windsor law professor Judy Macfarlane for the Institute for Social Policy and Understanding, refutes critics’ claims that American Muslims want to impose Shariah, or Islamic law. Macfarlane interviewed 212 Muslim Americans, including 41 imams and 70 community leaders who used aspects of Shariah in their daily lives. The other 101 interviewees were divorced Muslim men and women. About a quarter of the interviewees were from Canada, and the rest from the United States. 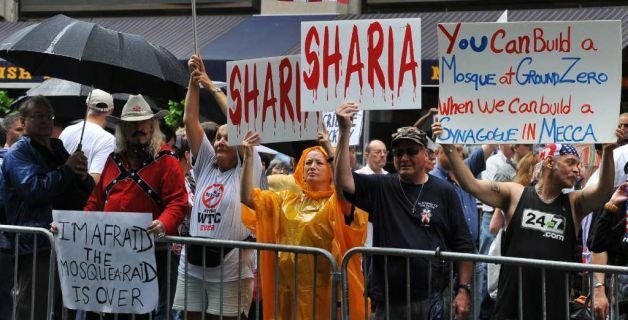 “Aside from formal religious observance, American Muslims relate to their Shariah responsibilities primarily through rituals of marriage and divorce,” Macfarlane wrote. When asked whether they thought American courts should apply Shariah to non-Muslims in the legal system, all of the respondents answered no. Just three of the 41 imams said they wanted parallel Shariah tribunals where Muslims could handle civil issues like marriage, divorce, and inheritance. The study follows a Jan. 10 decision by a federal appeals court that upheld a lower court’s ruling to overturn a 2010 Oklahoma constitutional amendment to prohibit judges from using Shariah in their deliberations. Tennessee and Louisiana have passed similar laws, while 20 other states are considering such legislation. Islamabad, Pakistan- The minister for minority affairs of Pakistan, Shahbaz Bhatti, promised to work to amend the blasphemy laws used to target non-Muslims in Pakistan such as Christians and Hindus and said he was ready to die fighting for this cause. A Member of Parliament and head of the All Pakistan Minorities Alliance (APMA), Shahbaz Bhatti was visiting Washington DC at the invitation of the US Commission on International Religious Freedom, which awarded him a first-of-a-kind medal for championing the rights of minorities in Islamic Pakistan. A Catholic member of President Asif Ali Zardari’s administration as a federal minister for minority affairs, he took over the job last year when it was made a cabinet level position in Zardari’s cabinet. Bhatti said he has received threats for his work on numerous occasions. Earlier this month, Pakistan’s religious affairs minister was wounded in an assassination attempt in Islamabad that left his driver dead. Pakistan’s law against blaspheming Islam carries the death penalty. While no one has ever been sent to the executed for the crime, activists say the law is used to exploit others out of personal vendettas by some in the Muslim community against Christians, Hindus, Sikhs, and Buddhist minorities in Pakistan. 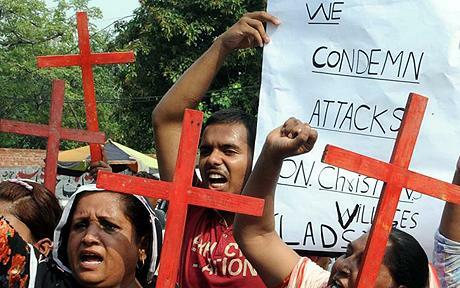 A 25-year-old Christian jailed on blasphemy allegations earlier this week died in prison. Authorities said he committed suicide but civil rights activists suspect that he was tortured by the police. The death came several weeks after an angry mob killed seven Christians in an arson attack that destroyed about 40 houses in the town of Gojra in central Punjab province. 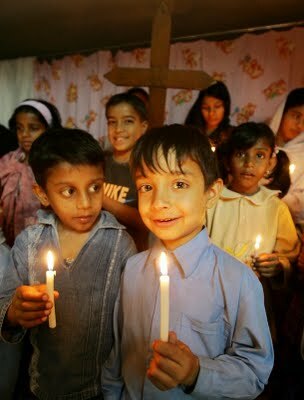 Christians and other religious minorities have a long history of persecution and discrimination in all walks of life in Pakistan by the Muslim majority. This is a sad reality and a country such as Pakistan that was founded for religious freedoms for the Muslims of India in 1947, has to do a much better job at protecting the 3 to 5% of the population that does not share the Islamic faith. Unfair, subjective and antiquated laws such as Pakistan’s blasphemy laws need to be urgently amended so that the non-Muslim minorities in Pakistan do not live in fear of an upset neighbor calling the authorities and falsely claiming an individual blasphemed the religion of Islam. Furthermore, if an individual is indeed ever guilty of blasphemy, the death penalty is a rather harsh punishment for simply stating one’s opinions, no matter how offensive to the faithful. Although he may face strong resistance by some of the extremist and ultra religious members of Parliament in Pakistan, many moderate and enlightened Pakistanis support the minister for minority affairs and hope that he is successful in amending this archaic law.